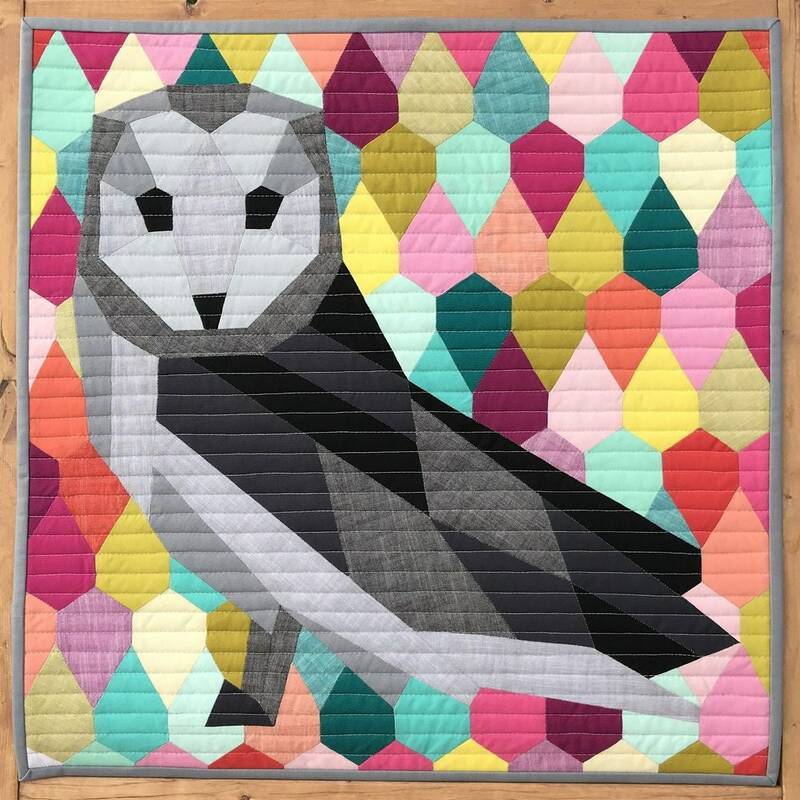 The Barn Owl is an English Paper Piecing project that finishes 20 inches square. - perfect for a wall hanging, pillow or can be integrated into the design for a larger quilt. 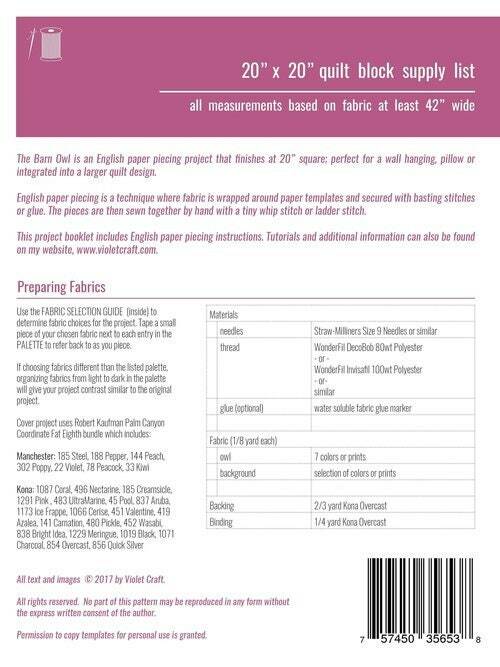 The project booklet includes English paper piecing instructions.